Norbert Allnoch, director of the Institute of the Renewable Energy Industry (IWR) in Muenster, says the 22 gigawatts of solar power fed into the national grid on Saturday met nearly 50 per cent of the nation's midday electricity needs. 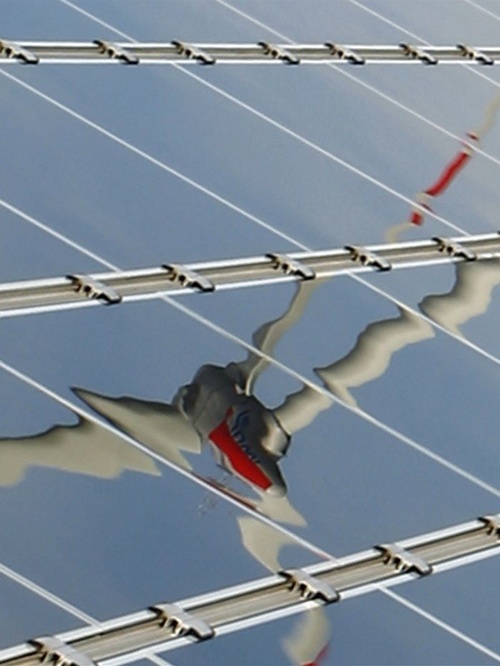 "Never before anywhere has a country produced as much photovoltaic electricity," says Allnoch. "Germany came close to the 20 gigawatt (GW) mark a few times in recent weeks. But this was the first time we made it over." Government-mandated support for renewables has helped Germany became a world leader in renewable energy and the country gets about 20 perc ent of its overall annual electricity from those sources. Germany has nearly as much installed solar power generation capacity as the rest of the world combined and gets about four per cent of its overall annual electricity needs from the Sun. It aims to cut its greenhouse gas emissions by 40 per cent from 1990 levels by 2020. The 22 GW figure is up from about 14 GW a year ago. Germany added 7.5 GW of installed power generation capacity in 2012 and 1.8 GW more in the first quarter for a total of 26 GW capacity. "This shows Germany is capable of meeting a large share of its electricity needs with solar power," says Allnoch. "It also shows Germany can do with fewer coal-burning power plants, gas-burning plants and nuclear plants." Allnoch says the data is based on information from the European Energy Exchange (EEX), a bourse based in Leipzig. The incentives through the state-mandated 'feed-in-tariff' (FIT) are not without controversy, however. The FIT is the lifeblood for the industry until photovoltaic prices fall further to levels similar for conventional power production. Utilities and consumer groups have complained the FIT for solar power adds about 2 cents per kilowatt hour (kWh) on top of electricity prices in Germany that are already among the highest in the world with consumers paying about 23 cents per kWh. Critics also complain growing levels of solar power make the national grid less stable due to fluctuations in output. Merkel's centre-right government has tried to accelerate cuts in the FIT, which has fallen by between 15 and 30 per cent per year, to nearly 40 per cent this year to levels below 20 cents per kWh. But the upper house of parliament, the Bundesrat, has blocked it.